Looking for a hands-on 3D controller that won't require any five-fingered peripherals? 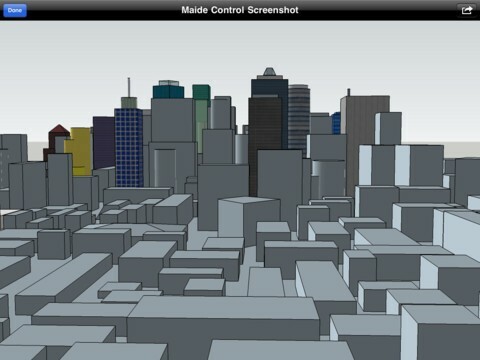 Check out Maide Control -- a new app that allows users to manipulate 3D CAD data from the comfort of their iPad displays. Available for $4.99 on iTunes, this app will wirelessly sync an iPad with any compatible 3D program, thereby enabling modelers to mold and view their designs using an array of multitouch gestures. You can also use Maide Control to showcase models on larger displays (say, at a company presentation), or to connect multiple iPads to the same render, in case you're working on a more collaborative project. For now, the app only supports Google SketchUp and Rhino on Windows only, though the company plans to incorporate other 3D apps and Mac support in the near future. Wiggle past the break to see a pair of demo videos, or hit up the source link below to download the app directly from iTunes. Maide Control iPad app lets you build and view 3D models with your bare, sweaty hands (video) originally appeared on Engadget on Fri, 14 Oct 2011 08:36:00 EDT. Please see our terms for use of feeds.